I hope you can join me for the opening reception of the group show by Suite E Life Drawing group from 6-8pm on Thursday July 12 at Place des Arts. 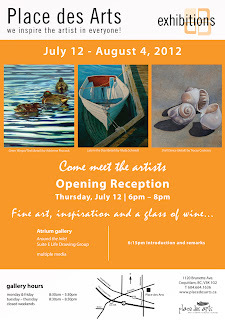 I will be displaying both watercolor and some new oil paintings. 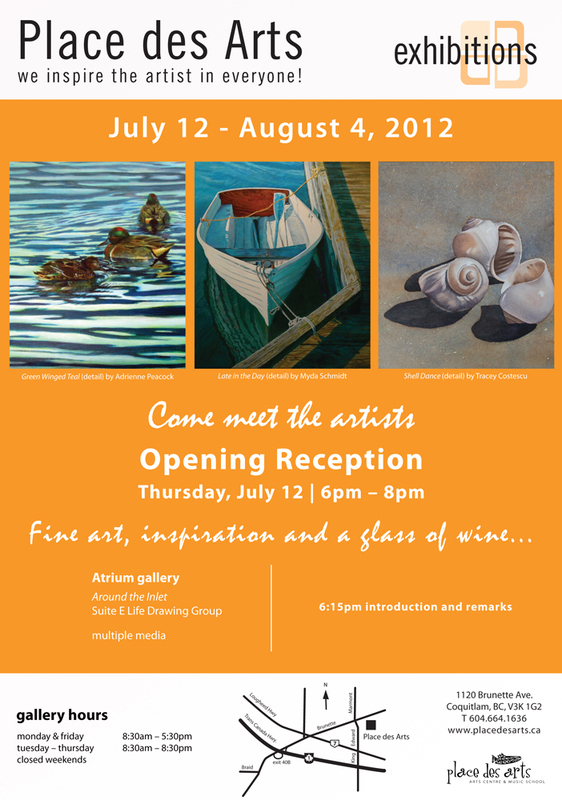 there will be artwork of all sizes and mediums by our members all of various images of things enjoyed around the inlet.